If you live in Salt Lake City, you know how amazing the transformation of downtown is during Salt Lake Comic Con is. Tens of thousands of geeks/nerds fill the Salt Palace, a majority of them dressed as their favorite characters from comics, TV, film, and books. There are so many geek related events that happen around downtown and evne at the con itself. This year a few of us geeky Utah bloggers have decided to create our own event. We have come together to put on our very own photo scavenger hunt. If you wish to join our fun little game and want to try and win some amazing prizes, all you have to do is follow the instructions below. 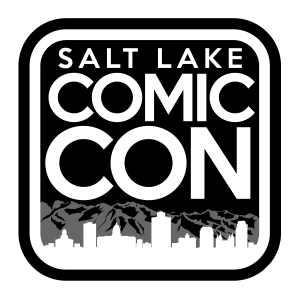 Download our Salt Lake Comic Con Photo Scavenger Hunt List now! Kat Martin from Altered Landscapes is giving EVERYONE a small print of one of her cool pieces of art. She is the one who puts geeky things like AT-ATs into otherwise mundane landscape art pics. ….with more to be announced! 1. Choose Where You Will Be Posting: You can either post your entries on Twitter or Instagram. Please keep it to one network to make it easier to calculate the winners. 2. Follow All 4 Bloggers on Your Chosen Network. 3. Follow Wheaton’s Rule: It’s always considered polite to ask a cosplayer if you can take their photo. Good idea for celebrities too! Be respectful at the booths also and follow Salt Lake Comic Con’s rules. 4. Label Your Photos: Use the hashtag #slcchunt15 on each picture. Make sure we can tell what it is in the picture (i.e. centered, in focus, etc) It also helps if you label it somehow so we can assign points properly. For vendors, try to get their sign in the picture too. 5. Submit by the Deadline: You have until 11:59 PM MST on September 26th to post any qualifying pictures. Top winner will get to choose a prize first and we will move down the line. In the event of a tie, we will randomly choose who goes first. 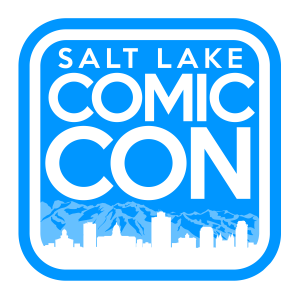 Disclaimer: Salt Lake Comic Con and its subsidiaries are not affiliated with this hunt and will not be responsible for prize fulfillment.